Wanted – Couple to say I do in the Woods! One of the best parts about being a celebrant is discovering new venues that are unique and quirky. Recently, I was invited to see a brand new wedding venue set in the idyllic Suffolk Countryside; Up Thorpe Wood is probably one of Suffolk’s best kept secrets. Up Thorpe Wood close to Ixworth is now open for viewings www.upthorpewood.co.uk. Sarah and her team are so welcoming, their love of the place is infectious. The wisteria archway leads to a pathway through the wood to the romantic alter; it is here that vows and promises can be made. If you would like to have smaller guests at your special day, Up Thorpe Wood is the perfect place for them to play as there is a children’s tipi and safe areas. I was once told that people don’t know what they want until they see it, so I would like to give you a few ideas about how your day could be most memorable for you and your guests. 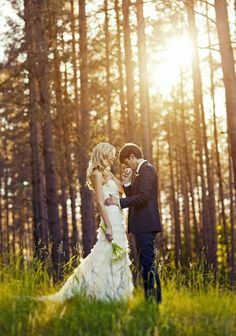 Woodland weddings – or Festival weddings as they are more widely known are possibly the most laid-back relaxed affairs. You don’t have to be into fairies or middle earth to appreciate the natural beauty of the wood (of course if you are that’s fine too). Mother Nature provides a spectacular background with all the different shades of green. Bunting, fairy lights or different coloured lanterns can enhance the natural beauty of the wood. If you want to have a relaxed and fun loving vibe you might think about having the local fish and chip van pay you a visit. Or have an afternoon tea with vintage china, BBQ’s, bring your own picnic or maybe even a pizza delivery! The best bit! After saying “I do” , when your bellies are full from eating and drinking and your feet hurt from dancing the night away, you and your guests don’t have to be ferried home in cabs you can a sleepover, or if it’s me, it has to be glamping! Suffolk Celebrant seeking loving couple who want to say I do in the woods – get in touch.